Seeking treatment for a drug or alcohol problem can be overwhelming. 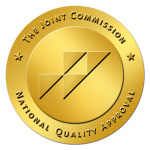 South Coast Counseling offers a partial hospitalization program in Costa Mesa, Orange County that allows clients the benefits of an inpatient program on an outpatient basis. Learn more about our program and how we are aiming to change the way addiction is treated. A Partial Hospitalization Program, commonly referred to as PHP, is simply defined as a partial day or night treatment program. In a PHP setting, you typically go to treatment for a set of hours like you would for a job. For example, many PHPs have a schedule where go for therapy 5 days a week, for 4-8 hours a day. This allows you or someone you care about to remain employed, work during rehab, and sleep in your own bed at night. Some clients choose PHP as their primary form of treatment, while others use this program to step down from an inpatient or residential setting as a part of their transition back into society. Certain addiction treatment centers will provide housing while you complete PHP. This allows you to still be away from the environment that you may have negative associations with and away from people, places, and things that may trigger you to drink, use, or leave the program Against Medical Advice (AMA). You call always call us 24 hours a day, 7 days a week at 1-844-330-0096 with any questions that may arise or for more information that you weren’t able to find here. How Can a Partial Day Program in Orange County Help Me or My Loved One? Group therapy takes up a large percentage of the day. Positive results from this type of treatment have been proven. In the initial stages of recovery, patients often don’t know where to begin, how to open up to others, or even how to recognize the emotions they’re feeling. In a group therapy setting, patients learn how they relate to others and that they are not alone. They eventually feel comfortable speaking about their experiences and receiving feedback. Alternatively, they help others with their problems, which boosts the confidence of all parties involved. Therapy in a group setting prepares individuals in early recovery for a sober life outside of the treatment environment. Building a relationship with a group teaches recovering addicts and alcoholics the importance of building a support system that they can maintain long-term and learn to have healthy relationships with others. In PHP, patients are assigned a primary therapist. This therapist carefully constructs an individualized treatment plan specific to the needs of the patient. We do not believe in a one-size-fits-all approach. With your specific addiction counselor, patients receive one-on-one sessions to address their core issues on a deeper level, as addiction and substance abuse are generally just symptoms of a larger problem. It is extremely important to be honest and open with the therapist, or else there can be little-to-no benefit to the experience. In treatment programs at South Coast Counseling, like Partial Day Programs, treatment teams like to implement special activities. Some of these include dance and art therapy, guided meditation, yoga, trips to parks and beaches, music therapy, cinema therapy, and nature walks. Certain patients respond to different techniques, so it can be beneficial to practice healthy, new experiences and realize that you can have fun in recovery. What to Expect at Our Partial Hospitalization Program in Costa Mesa? In a PHP setting, patients are afforded the balance in their lives that those who are in an inpatient treatment may not be ready for yet. When recovering addicts and alcoholics have the opportunity to have a job and live outside of a drug treatment center, they get to begin how to learn life on life’s terms. When a patient is employed, lives alone or in a sober living home, and goes to the meetings and support groups that they choose, it can be stressful while in early recovery. By participating in a Partial Day Program, they get to go out and live their lives, but return to treatment for half of the day to discuss their daily lives and how to manage their struggles with the help of their group and their primary therapist. 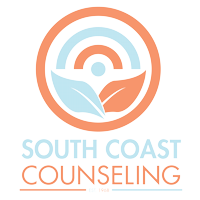 If you’re considering a Partial Day Treatment Program or a PHP for yourself, or just researching for a loved one, South Coast Counseling is ready to get you on the path to your new life. Call us now at 1-844-330-0096.